Since the development of the Internet and the web, various aspects of society have changed, including the way business is conducted, how information is shared and gathered, and how goods and services are purchased (Shanthi &Kannaiah, 2015:14). Consumers are now able to shop online with an abundance of information readily available at their fingertips. Particularly with the increasing use of social media which has influenced a number of online shopping activities namely finding ideas, researching goods, looking for promotions and sharing purchases online (Morisson, 2014).The purpose of this study was to explore the influence of information quality factors on online shopping. The results of the study could assist online retailers to better target consumers by having a better understanding of the influence of information quality on their online shopping. Primary data was collected by means of self-administered Internet surveys. Respondent demographics and online shopping activity were firstly identified, followed by the influence of information quality factors. The research found that all information quality factors influence online shopping, however secureness was the most influential factor. By having a thorough understanding of the influence of information quality for online shopping, online retailers can ensure that consumers’ cost of searching for goods are reduced. Al-Maghrabi, T., Dennis, C., Halliday, S.V. & BinAli, A. 2011.Determinants of customer continuance intention of online shopping. International Journal of Business Science and Applied Management, 6(1):41-65. Al-Mamary, Y.H., Shamsuddin, A. &Aziati, N. 2014.The relationship between system quality, information quality and organisational performance. 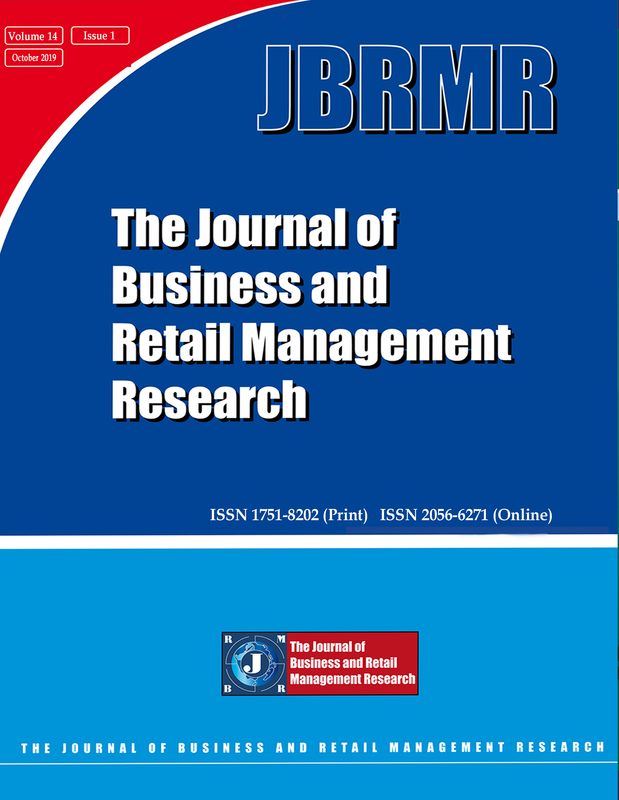 International Journal of Knowledge and Research in Management and E-commerce, 4(3):7-10. Bagdoniene, L. & Zemblyte, J. 2009. Online shopping motivation factors and their effect on lithuanian consumers online shopping factors : review of some studies results. Economics & Management, 14(2009):367–374. Bai, B., Law, R. & Wen, I. 2008. The impact of website quality on customer satisfaction and purchase intentions: evidence from Chinese online visitors. International Journal of Hospitality, 27(2008):391-402. Barnes, S. & Vidgen, R., 2002.An integrative approach to the assessment of e-commerce quality. Journal of Electronic Commerce Research, 3(3):114-127. Bizer, C. 2007.Quality-Driven Information Filtering in the Context of Web-Based Information Systems.Mcom Thesis. Freie Universitat Berlin. Botha, D.H. 2015. The determinants of South African consumers’ online shopping satisfaction. Mcom Thesis. Pretoria: University of Pretoria. Bothma. C. & Gopaul, M. 2015. E-marketing in the South African context. Cape Town:Juta. Bourlakis, M., Papagiannidis, S. & Fox, H. 2008. E-Consumer Behaviour: Past, Present and Future Trajectories of an Evolving Retail Revolution. International Journal of E-Business Research. 4(3):64–76. Cheung, C.M.K. & Lee, M.K.O. 2005.Research framework of consumer satisfaction with Internet shopping. Sprouts: Working Papers on Information System, 5(26):1-19. CP-Africa. 2013. Infographic: E-commerce in Africa - preferences of African consumers in Nigeria, Kenya and South Africa. CPAfrica. [Online] Available from: http://www.cp-africa.com/2013/06/03/e-commerce-in-africa/ [Accessed: 2013-09-30]. Croker, A.D. 2009. Customer satisfaction in the online grocery shopping market. Mcom Thesis. University of South Africa. Cunningham, N. 2015. Consumers perception of shopping channel attributes and risk factors influencing apparel purchases. Mcom Thesis. University of Johannesburg. Dai, B., Forsythe, S. & Kwon, W.S. 2014. The impact of online shopping experience on risk perception and online purchase intentions: does product category matter? Journal of Electronic Commerce Research, 15(1):13-24. De Swardt, M. & Wagner, C. 2008. Factors influencing the choice to shop online: a psychological study in a South Africa context. New Voices in Psychology, 4(2):68-82. DeLone, W.H. & McLean, E.R. 2003. The DeLone and McLean model of information systems success: A ten-year update. Journal of Management Information Systems, 4(19):9-30. DeLone, W.H. & McLean, E.R. 2004. Measuring e-Commerce Success: Applying the DeLone& McLean Information Systems Success Model. International Journal of Electronic Commerce, 9(1):31-47. Elkhatib, Y., Killick, R., Mu, M. & Race, N. 2014. Just Browsing? : Understanding User Journeys in Online TV. Proceedings of the 22Nd ACM International Conference on Multimedia. 965–968. Ghaffari, A. &Ashkiki, M.F. 2015.The impact on the quality of the website to buy online customers.Journal of Applied Environmental and Biological Sciences, 5(11S):516-526. Gorla, N., Somers, T.M. & Wong, B. 2010.Organisational impact of system quality, information quality and service quality. Journal of Strategic Information Systems, 19(2010):207-228. Harker, S. &Riccio, J. 2012.The future of retail – consumer adaptive retailing. PwC. [Online] Available from: http://www.pwc.com.au/industry/retail-consumer/assets/ Digital-Media-Paper-Jul12.pdf [Downloaded: 2014-05-24]. Huang, Z. &Benyoucef, M. 2013. From e-commerce to social commerce: a close look at design features. Electronic Commerce Research and Applications, 12(4):246-259. Hwang, D., Preiser-Houy, L. & Shang, R.A. 2012. 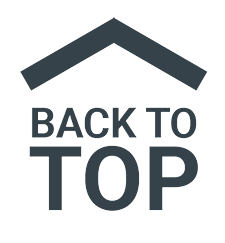 A comprehensive framework for online store functionalities. Issues in Information Systems, 13(2):336–345. Jeng, S. 2013. Online gift-searching: gift-giving orientations and perceived benefits of searching. Online Information Review, 37(5):771-786. Jusoh, Z.M. & Ling, G.H. 2012. Factors influencing consumers’ attitude towards e-commerce purchases through online shopping. International Journal of Humanities and Social Science, 2(4):223–230. Katawetawaraks, C. & Wang, C.L. 2011. Online Shopper Behavior: influences of Online Shopping Decision. Asian Journal of Business Research. 1(2):66–74. Keisidou, E., Sarigiannidis, L. & Maditinos, D. 2011. Consumer characteristics and their effect on accepting online shopping, in the context of different product types. International Journal of Business Science and Applied Management, 6(2):31–51. Kempen, E., Kasambala, J. &Toerien, E. 2015.A conceptual framework of e-fashion shopping intent.The Retail and Marketing Review, 11(1):23-43. Kim, C., Galliers, R.D., Shin, N., Ryoo, J.H. & Kim, J. 2012. Factors influencing Internet shopping value and customer repurchase intention. Electronic Commerce Research and Application, 11(4):374-387. Kim, H. &Niehm, L.S. 2009.The impact of website quality on information quality, value and loyalty intentions in apparel retailing. Journal of Interactive Marketing, 23(2009):221-233. Kim, J. & Lennon, S.J. 2013. The effects of reputation and website quality on online consumers’ emotion, perceived risk and purchase intention: based on the stimulus-organism-response model. Journal of Research in Interactive Marketing, 7(1):33-56. Kuo, H. & Chen, C. 2011.Application of quality function deployment to improve the quality of Internet shopping website interface design. International Journal of Innovative Computing, Information and Control, 7(1):253-268. Lawless, S., O’Connor, A. &Mulwa, C. 2010.A proposal for the evaluation of adaptive personalised information retrieval.CIRSE ’10 Workshop on Contextual Information Access, Seeking and Retrieval Evaluation, 28th March, 2010, Milton Keynes, UK. Liang, T.P., Li, Y.W. & Turban, E. 2009. Personalised services as empathic responses: the role of intimacy. PACIS 2009 Proceedings. Lin, H.-F. 2007. The Impact of Website Quality Dimensions on Customer Satisfaction in the B2C E-commerce Context. Total Quality Management & Business Excellence. 18(4):363–378. Loiacono, E.T., Watson, R.T. &Goodhue, D.L. 2002.WEBQUAL: A measure of website quality. American Marketing Association, 13(2002):432:438. Mai, J. 2013. The quality and qualities of information. Journal of the American Society for Information Science and Technology, 64(4):675-688. Malhotra, N.K. 2010.Marketing research: An applied orientation. 6th edition. New Jersey: Pearson. Mazaheri, E., Richard, M.O. & Laroche, M. 2011. Online consumer behavior: Comparing Canadian and Chinese website visitors. Journal of Business Research. 64(9):958–965. Milan, G.S., Bebber, S., De Toni, D. &Eberle, L. 2015.Information quality, distrust and perceived risk as antecedents of purchase intention in the online purchase context. Journal of Management Information System & E-commerce, 2(2):111-129. Mohanlal, A. 2011. Factors influencing South African Internet users purchasing a product or service online. MBA Thesis. University of KwaZulu Natal. Morgan, J. 2014. Are you confusing your customers? John Morgan. [Online] Available from: http://johnmichaelmorgan.com/are-you-confusing-your-customers/ [Accessed: 2014-05-29]. Morisson, K. 2014. Social media has changed how consumers shop online. AdWeek. [Online] Available from:http://www.adweek.com/digital/social-media-changed-consumers-shop-online-infographic/ [Accessed: 2017-02-21]. Nagra, G. & Gopal, R. 2013. An study of Factors Affecting on Online Shopping Behavior of Consumers. International Journal of Scientific and Research Publications. 3(6):1–4. Niranjanamurthy, M. &Chahar, D. 2013.The study of e-commerce security issues and solutions. International Journal of Advanced Research in Computer and Communication Engineering, 2(7):1-12. Patel, N. 2011.7 common sales mistakes and how to avoid them.QuickSprout, LLC. [Online] Available from: http://www.quicksprout.com/2011/09/15/7-common-sales-mistakes -and-how-to-avoid-them/ [Accessed: 2014-05-29]. Safari, A. 2011.Customers’ international online trust – insights from focus group interviews. Journal of Theoretical and Applied Electronic Commerce Research, 7(2):59-72. Sanje, G. &Senol, I. 2012.The importance of online behavioural advertising for online retailers. International Journal of Business and Social Science, 3(18):114-121. Scherbaum, C. &Schockley, K. 2015.Analysing quantitative data for business and management students. London: Sage. Shanthi, R. & Kannaiah, D. 2015. Consumers’ Perception on Online Shopping. Journal of Marketing and Consumer Research, 13(2015):14–20. Sharma, R.S., Alexander, N., Ho, W.C. &Arasu, P.K. 2013.Functional modelling and analysis of IDM e-tailer platforms. International Journal of E-Business Research, 7(20101):38-59. Sharkey, U., Scott, M. & Acton, T. 2010. The influence of quality on e-commerce success: An empirical application of the DeLone and McLean IS success model. International Journal of E-Business Research, 6(1):68-84. Song, J., Baker, J., Lee, S. & Wetherbe, J.C. 2012. Examining online consumers’ behavior: A service-oriented view. International Journal of Information Management, 32(3):221-231. Snyman, A.N. 2015. Barriers and motivators to online grocery shopping in South Africa: a supply chain perspective. Mcom Thesis. University of South Africa. Tapson, M.J. 2009.Demographical diversity influence on online shopping orientation and propensity to buy online.Mcom Thesis. Grahamstown: Rhodes University. Webb, H.W. & Webb, L.A. 2004.SiteQual: An integrated measure of website quality. Journal of Enterprise Information Management, 17(6):430-440. Wiid, J. & Diggines, C. 2013.Marketing research.4th ed. Cape Town: Juta.